There are a number of important policy priorities on the agenda for President Trump and Congress. Lawmakers are considering policy proposals in areas including healthcare reform, tax reform, infrastructure, and more. However, as negotiations may play out in coming months, one issue affects all the others: America’s unsustainable national debt. It’s important that lawmakers keep our fiscal stability in mind while considering legislation. A strong fiscal outlook is an essential foundation for a growing, thriving economy — but our current debt-to-GDP ratio is the highest it has been since 1950. The following infographic illustrates the current fiscal state of play, explaining why it is essential for lawmakers to not lose sight of our fiscal future. Source: Congressional Budget Office, The 2016 Long-Term Budget Outlook, July 2016; Congressional Budget Office, The Budget and Economic Oulook: 2017 to 2027, January 2017; Fiscal Confidence Index: January 2017. Infographic: How Does the National Debt Affect the Economy? 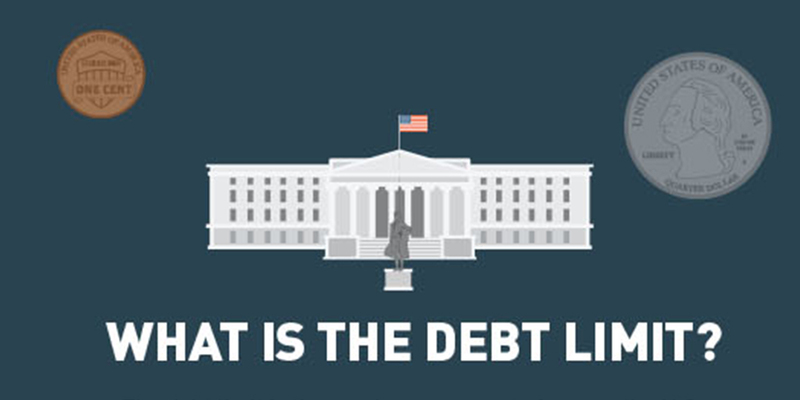 Infographic: What Is the Debt Limit? Other than during the recent recession caused by the financial crisis and its aftermath, the U.S. government has never witnessed deficits that exceeded $1 trillion. As summer turns to fall, members of the United States House of Representatives and Senate return to Washington D.C. to face a number of important policy decisions and deadlines.